A 2016 New Year’s Resolution for Your Real Estate Career – Create a Strong Online Presence that Promotes You and Your Brand. In today’s competitive world of real estate it is important to have an online presence that stands out from the crowd. The whole goal of building a brand is to connect with clients, customers and prospects. You want to convey to your target market that you are the one that provides a solution to their problem. That is, finding an agent that has credibility and someone they can trust when purchasing or selling a home. To succeed online you must understand the wants and needs of your clients, customers and prospects. Most consumers looking on a real estate agent’s site are looking to search for properties in their desired area or neighborhood. Image is everything – PREMIER by REblogdog fulfills all the requirements to build an online brand that will set you apart from the crowd. The key is to have a site that visitors feel provide everything they need while conveying yourself as an agent they can trust. PREMIER will help you build loyal Clients that will be committed to using you when they are ready to purchase or sell their home. 5 Simple Strategies To Create A Strong Online Presence that promotes you and your brand. 1) Make sure that you have a modern looking website that makes a great first impression. It needs to have appealing graphics, be easy to navigate and should instantly make visitors feel welcome from the first second they click on it. Take a look at this real estate website azrealestateteam.com for an example of a simple yet highly effective website that draws visitors in. 2) Incorporate a blog into your website that you update frequently. And also that can be easily shared. PREMIER will publish at least 2 blog posts for you daily. – and they are sharable. As an example go check out keep things simple; simple graphics and simple message. 3) SEO or search engine optimization is an essential component of any online marketing strategy. Admittedly this area is a bit fuzzy thanks to Google changing their criteria for ranking websites in their search engines, but it’s a powerful way to ensure that your website is one of the first that comes up when your prospects are searching for certain key words. There are a lot of SEO specialists available – and it can be overwhelming. 4) Social media. Love it or hate it, it’s here to stay, so you may as well put it to work for you. Make sure your posts are relevant, interesting and are in no way a “pitch-fest.” Be sure to acknowledge and interact with every person who takes an action on your pages – whether it’s liking a photo or posting a comment. Sharing the content of your website directly to your social media, is a MUST. PREMIER shares the content automatically for you. So on those busy days you don’t have enough time. Your website continues to work for you. Secondly look to run ad campaigns on the social media platform that’s best suited to your target market – for example LinkedIn is a great platform to reach white collar business professionals through, Facebook is great to reach Moms (and plenty of other demographics as well), Instagram is excellent to reach people 18-25 and so on. 5) Responsive Web Design Because of the continued rise of website visitors using mobile devices, the need for a mobile-friendly site becomes more important. 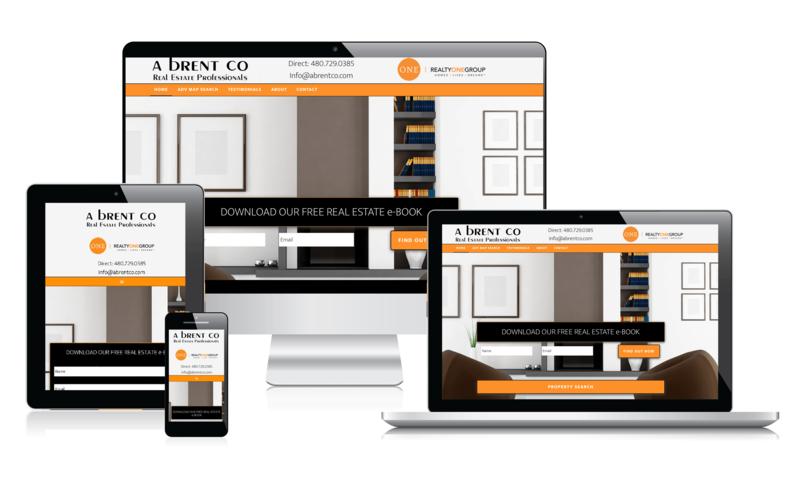 PREMIER provides a responsive web design that is a must for your real estate business. What is responsive web design? It is simply a design that is fluid—as a visitor’s browser size changes, so does the design. Why responsive design? Studies and statistics show that sites with a responsive web design have higher conversion rates and increased sales. Google also recommends responsive design. And, of course, your potential clients will love the fact that they can visit your website from anywhere with any device. PREMIER provides a built in function that allows visitors to search homes at their current location. This keeps them on your website. Our business philosophy is simple. Helping Make Connections. With PREMIER those connections can easily happen. And you’ll be amazed at how quickly it can help you attract new clients and grow your reputation at the same time.